You wouldn’t think much from the surface, but it was hard to believe I could see so much wildlife floating down a dirty, sooty river in the middle of a flat, wetland region. rainforests, crystal clear rivers and both the Pacific and Atlantic oceans from which to take in real beauty. We had turned off the highway and onto the gravel road leading to the river a few hours earlier. The sky was threatening rain. We were surrounded by muddy marsh waters on either side of the elevated road. All of a sudden the guide got really quiet. This person – who could talk your ear off about anything on the side of the road – now seemed a little perplexed. I wasn’t sure whether today was a bust – maybe we had turned down the wrong road or the animals had just decided stay in bed today. I wouldn’t have blamed them, given the weather. I could tell our guide – pulling out his binoculars – was looking to find anything he could talk to us about. At this point, all he had was mud or clouds. And then, almost as if God had answered his prayers, the first signs of wildlife appeared. Swooping over our van and landing harmlessly in the brush was a pink stork, or something like that. It stood on its stick legs and incessantly picked the ground for food like a hen eating feed. Since this was my first time visiting this river, I really had no expectations and would have been fine with any outcome. After that and before getting on the boat we found ourselves a few hundred feet from some caimans sunning themselves on the edge of the river, I figured the guide would had been elated, but he seemed unimpressed. His focus was showing us things you couldn’t pick out with the bare eye, like a line of bats sleeping perfectly camouflaged against the backdrop of a tree trunk. He found turtles on all sorts of terrain. Do you see the bats? He knew the route quite well and knew how to literally get the boat rocking with little effort. Just by motioning his hand to one side or the other, it would cause tidal wave as people moved from one side of the boat to the other. His enthusiasm was genuine, but you could tell he had seen these animals many times before. We moseyed our way down the river, stopping to point out more things the guide had seen countless times before, when we heard a shriek. Not from the forest, but from our boat as our guide was anxiously directing our boat driver to the bank. With his binoculars, he observed a tiny ball of fur perched up in the branches. It was a sloth, one of the slowest-moving creatures in the world, scratching himself on his head like a monkey. 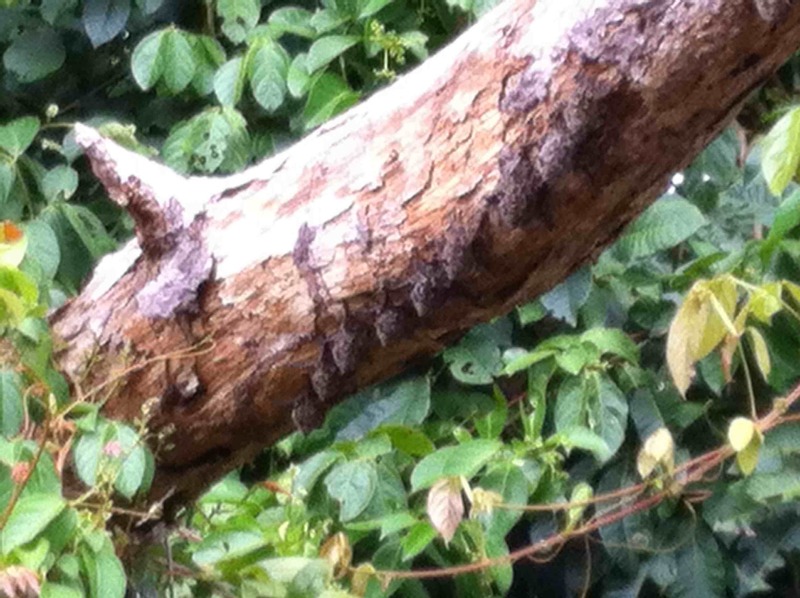 I’d seen quite a few sloths in Costa Rica, but never one even moving at turtle speed, let alone head-scratching speed. They digest food so slowly that food they eat today won’t be used as energy for a few days, so they have to calculate every physical exertion that they make. I felt the guide’s excitement. Shortly after spotting this creature, the whole riverbank appeared to come alive. 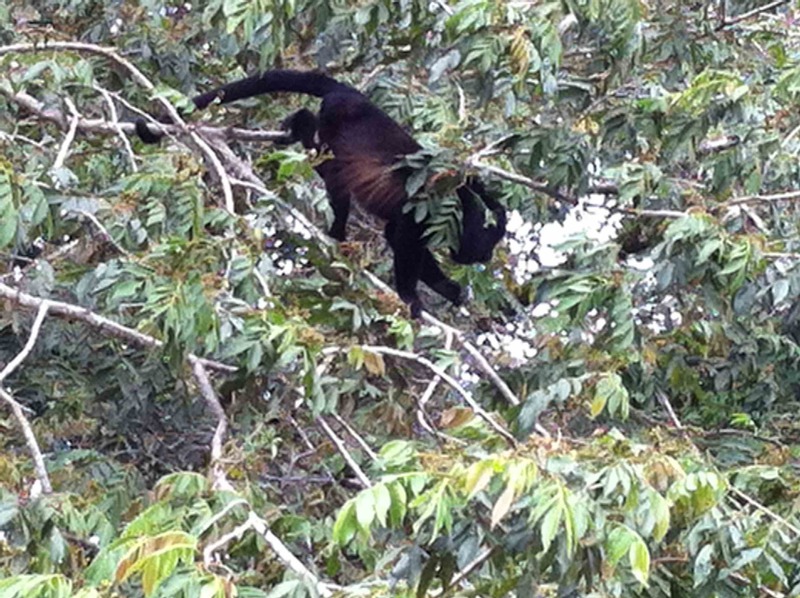 We heard the booming howl of the howler monkeys, and shortly after, we found a group of them playfully munching on leaves. After that, we stumbled upon a troop of spider monkeys practicing acrobatics in the branches (my first time seeing these in the wild). Our content guide decided to call it a day and take us back to the dock for lunch. The sun had come out, and life was good. We put the boat into high gear, when all of a sudden the driver cut the engines, threw it into reverse and swung us back into the bank to stare at the brush. I can’t imagine what kind of sixth sense guides have to pick out things while traveling down the river at high speeds. But sure enough, after a few moments, we began to notice the branches moving up and down and then saw the unmistakable white face of the capuchin monkey looking out at us to see what the big commotion was. 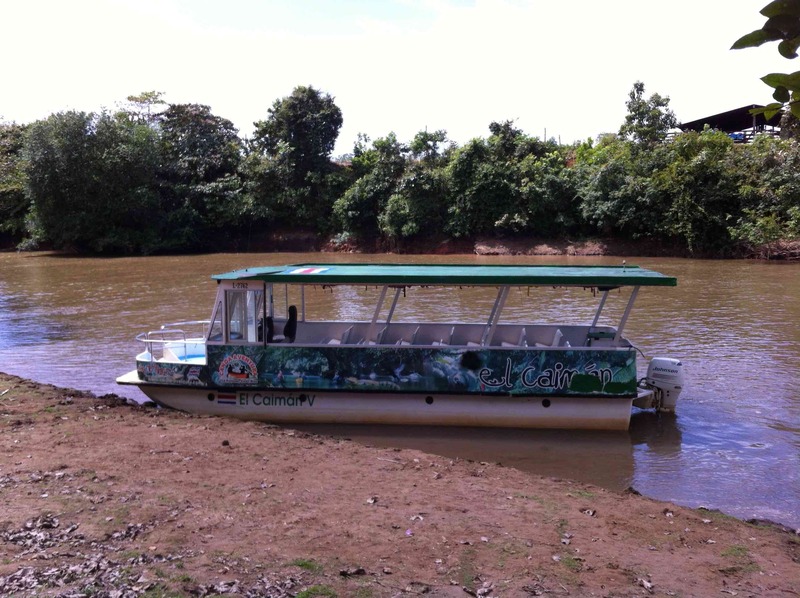 There are four types of monkeys in Costa Rica, and three can be found on this river. I don’t know if a tour group had ever hit the trifecta in one day, but we pulled off what seemed to be a remarkable feat. After cautioning the group for hours that we might not see many animals, the guide could safely let his guard down, knowing we got our money’s worth and then some. If a picture is worth a thousand words, being there is worth a million. It’s just not the same as going to the zoo and seeing caged animals. Seeing them in their natural habitat is amazing. I’m pretty sure our guide went home that night to brag about all the wildlife he saw that day. It must be a big ego boost for them. Even on the drive back to town I overheard him arguing with the other guides, saying how he too had also predicted it was going to be a sunny day. Dustin lives in Costa Rica and offers immersion experiences through the website costaricafrika.com. Find out more about him here.